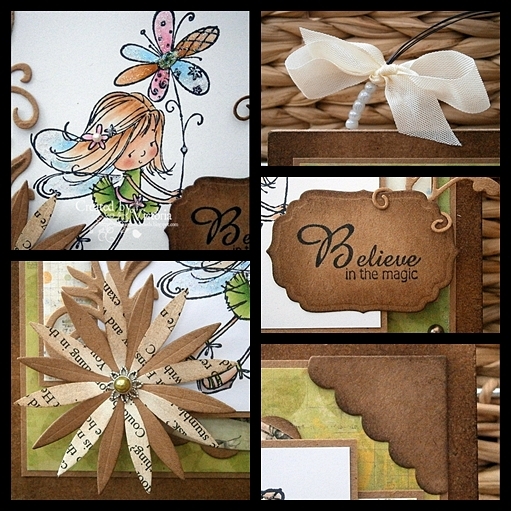 SUGAR NELLIE DT CARD ~ SPREAD YOUR WINGS..
Hope you all well on the last day of 2012...and I must say I will be pleased when this year has finally come to an end. 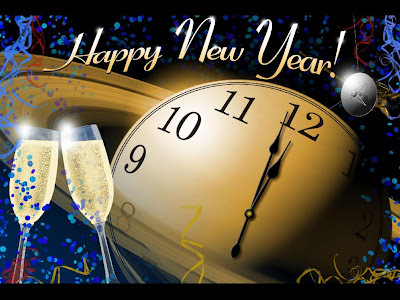 It's been a tricky year, with work and home, so roll on 2013..and fingers crossed for a peaceful and prosperous New Year. 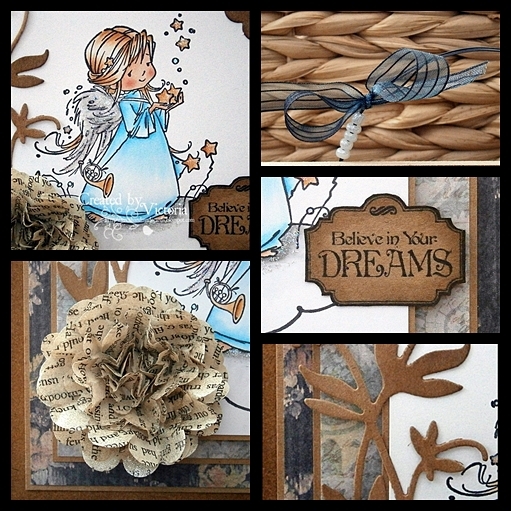 Anyway...onto my card and today I have dug out my gorgeous Sassy stamps from Sugar Nellie and coloured up the fabulous "Spread your Wings"...and I just love her hair...it looks a bit like mine at the mo...lol.. I have teamed her up with some pretty Melissa Francis papers..bird cage from Cheery Lynn...a MB bird and flower stems..and some pre-made flowers by Making Memories. 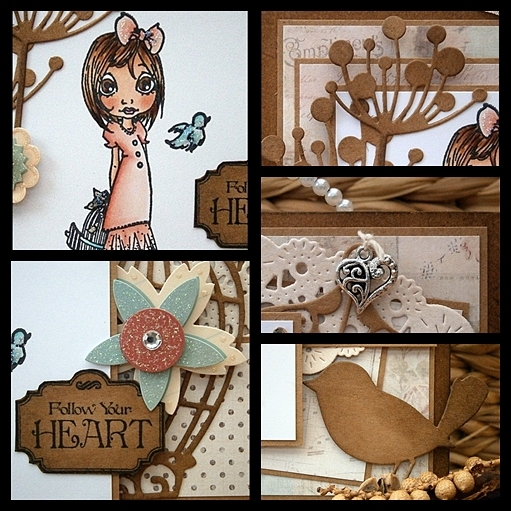 Bird ~ MB "Meadow Bird"
Doily ~ Cheery Lynn "French Doily"
So do pop over too Funky Kits and check out the the delish stamps and digi's...you will be spoilt for choice..
and I will see you all in 2013..! 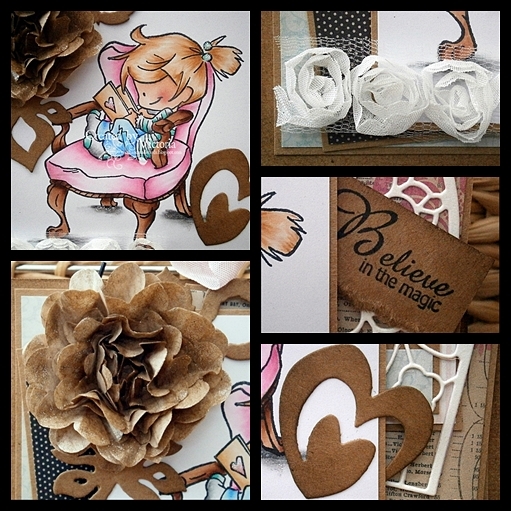 I have teamed this cutie with some pretty MME papers...a flower made with some brown wrapping paper..the leaves are from a WOJ die..a cute heart..and the window die-cut was a freebie..methinks I NEED that die too...lol.. So do pop over too Whiff of Joy...check out all the lovely stash...and lots of yummy inspiration too.. 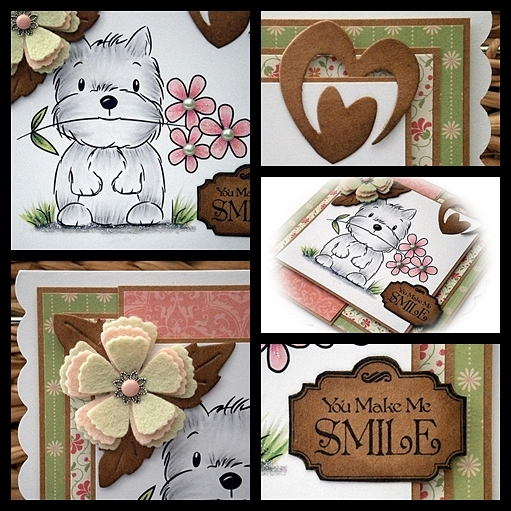 So onto my wee project...and today I have been playing with my super cute Nellie Snellen stamps available @ My Crafty Heart...and this sweetie is called "Elin's Flower"...and how adorable is she.. 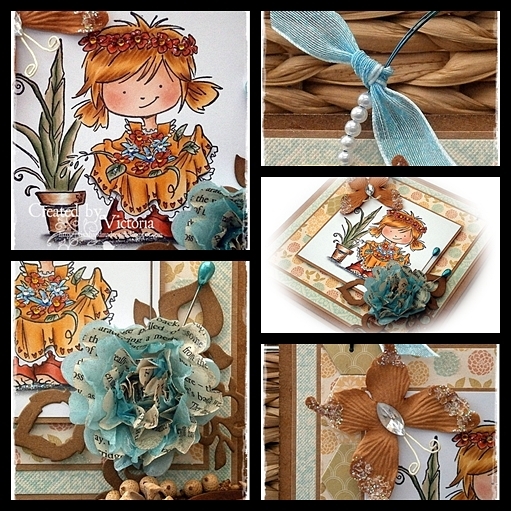 I have teamed her up with some pretty Bo Bunny papers...a Spellbinders flourish...a gorgeous flower from a Cheery Lynn die..a MB flourish and a sentiment too.. Corner Die ~ MFT "Photo Corner"
So do pop over to My Crafty Heart...and check out all the latest stash...lots of fabulous sale items and in the New Year the new Spring Memory Box dies will be available too...and they are simply gorgeous...! So that's all from me today...off out this morning to the sales...and then me thinks some play time with my new toy...an Ebosser...and I LOVE it...!! So have a lovely day...and I'll have a good catch up with you all laters..
WILD ROSE STUDIO DT CARD ~ FAIRY KIRA..
Hope you are all well today....and still enjoying the festive holiday...it's just a pity I have to go to work...lol.. 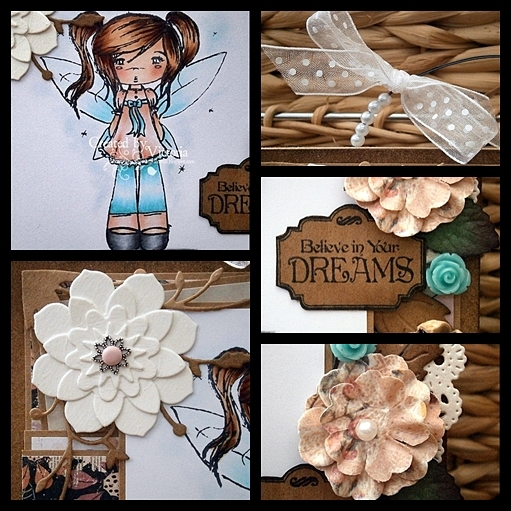 I have used an older stamp from Wild Rose Studio...and this is sweet Fairy Kira..and I know she is discontinued now, but it would be such a shame not to ink her up..she is just to pretty not too..! Die Cut flower ~ MFT "Flower Medley"
Corner ~ MFT "Photo Corner"
Doily ~ Cheery Lynn "French Pastry"
WHIFF OF JOY DT CARD ~ APRON FULL OF FLOWERS..
and here she is...hope you likey..! So do pop over too Whiff of Joy...check out all the lovely stash...and Ooodles of inspiration too..
and I'll catch ya all laters when I get home from work..
SUGAR NELLIE DT CARD ~ HEAVENLY ANGEL..
Papers ~ Prima "Natures Garden"
So do pop over to Funky Kits...and check out all the adorable Sugar Nellie stamps and digi's too.. 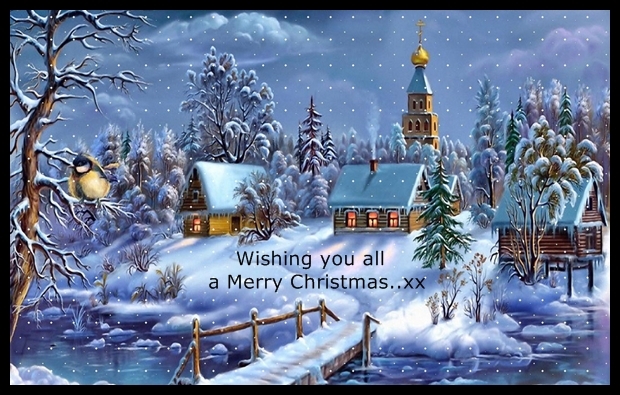 So that's all from me today...but before I go I would like to wish you all a very Merry Christmas..
DIGISTAMP BOUTIQUE DT CARD ~ MAC AND FLOWERS..
Hope you are all well today...and what a surprise..another dull, damp day..!! I have teamed him up with some gorgeous papers from Dovecraft..a felt flower made from a MDF die..some leaves..a cute heart..a sentiment and some pearls too.. Flower ~ MFT "Layered Rose"
Heart ~ WOJ "Cute Hearts"
So that's all from me today...we are out later with my lovely in-laws for lunch...so no cooking from me today..woohoo...! 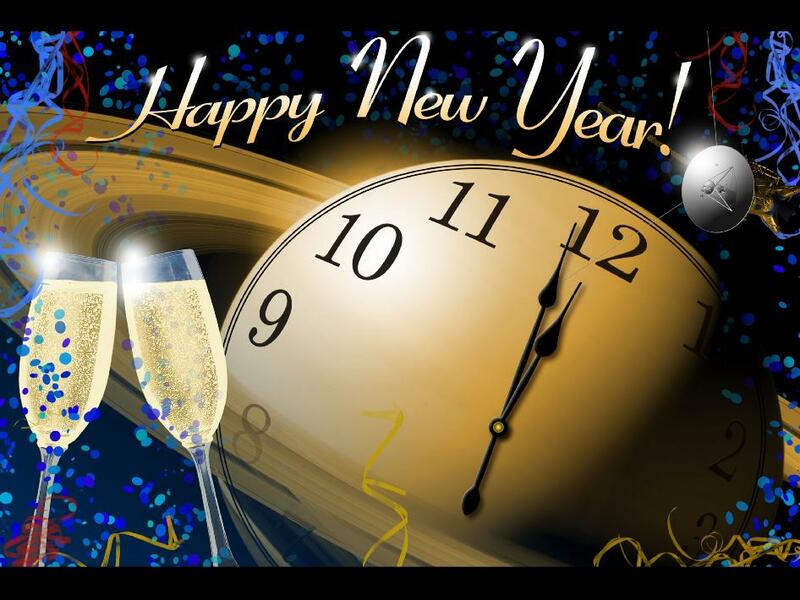 So have a lovely day...and I catch ya all laters..
Can you email your details over sweetie so I can pass them over too Katharina.. So a big thank you to everyone who left me a comment...it was lovely reading them all..
have a lovely evening all..
WILD ROSE STUDIO DT CARD ~ MIA IN KIMONO.. 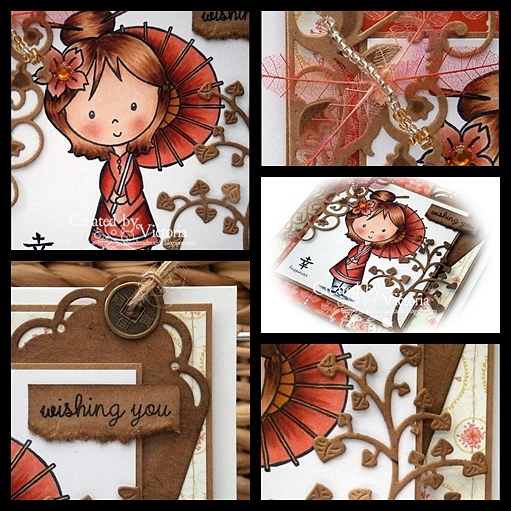 Anyway...onto my card..and today I have played with my super sweet Mia stamps from Wild Rose Studio...and this cutie is called "Mia in Kimono"...and what a wee darling she is.. I have teamed her up with some lovely Bo Bunny papers...a pretty D-Lites die...a Cheery Lynn tree..a tag and a dragonfly I found in my stash.. So that's all from me today...but I will be back laters to announce the winner of the Whiff of Joy stamp..